No coin collector wants to think about what would happen to their valued coin collection if their home is burglarized or burnt to the ground. Protecting your coin collection from fire and thieves is a priority for any serious coin collector. Investing in the correct amount of insurance, security equipment, and systems, coupled with common sense, will ensure that your coin collection will be there when you need it in retirement or that your heirs will be able to enjoy your coin collection for generations to come. Buying the right safe for your coin collection can be a simple and straightforward process if you know where to begin. 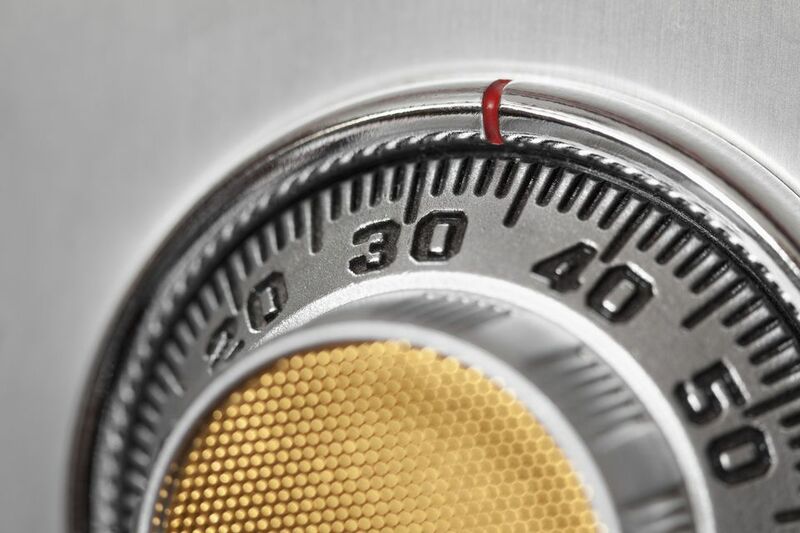 A safe provides basic protections from two threats: fire and burglary. Fireproof safes are constructed to provide the maximum protection for its contents in the case that your home goes up in flames. Unfortunately, they are not designed to withstand the threats that may be imposed by a burglar. Conversely, burglar resistant safes are designed to protect your coin collection from thieves. Most models of burglar resistant safes also offer some degree of fire protection. Odds have it that your coin collection will most likely encounter a threat from a burglar than from fire. Therefore a burglar resistant safe is your best bet. TOOL-RESISTANT SAFE TL-15 BURGLARY: Withstands a 15-minute frontal attack with common motorized devices and hand tools. TORCH AND TOOL RESISTANT SAFE TRTL-30X6 BURGLARY: Withstands a 30-minute attack on all sides using a wide range of tools and cutting torches. The better the burglar resistant rating on the safe, the more you will pay for it. Remember to bolt your safe to the floor since a few guys with a moving dolly can quickly remove a safe weighing over a 1,000 pounds and then open the safe back at their hide-out. Lastly, there are two types of locks that are available on safes today: the standard mechanical combination lock and the modern electronic lock. Although the modern electronic lock will add about $150 to the cost of the safe, it is well worth the investment since it is more difficult to pick and you can change the combination yourself without calling a locksmith. The first line of protection will be a home alarm system that is monitored 24 hours a day seven days a week by the alarm service company. Many people have home security alarm systems and therefore placing the security company's sign in front of your house is a sure deterrent to would-be intruders. Make sure you spend the extra money on a security system that uses the cellular telephone network in case the attackers cut your telephone line to disarm the security system. Some expensive and more sophisticated safes include sensors that can be connected to your home alarm system in case an intruder eludes the other security sensors in your home. A safe deposit box at a bank is the ultimate protection for your most valuable coins. Although more expensive than a home safe, the annual rental fee will be more than offset for the peace of mind you will have when you know your best, and most expensive coins are experiencing the ultimate protection. Rates vary from bank to bank, and sometimes discounts are provided for existing customers. Do not have coin magazines, coin newspapers, and coins themselves delivered to your home address. Rent a post office box at your local post office so that your letter carrier does not know that you are a coin collector. Additionally, if you ever leave to go out of town and a neighbor retrieves your mail for you, they will not know that you are coin collector either. Finally, be careful who you tell that you are a coin collector. Do not talk to strangers about your coin collecting hobby. Keep your coin collecting books and materials out of sight in your house so that friends and visitors are not aware of your coin collecting hobby. Additionally, do not make any indication on your home or car that you are a coin collector. For example, a vanity license plate that reads "ILUVCOINS" is not a good idea. Most basic homeowner insurance policies will not cover the loss of a coin collection due to fire or burglary. You will need to purchase additional insurance and order to protect the value of your coin collection if it is stolen or lost in a fire. There are two ways to insure your collection. The first is to add an insurance rider to your homeowner's insurance policy. The second, and usually cheaper, is to buy a separate insurance policy from a company that specializes in insuring collections. Members of the American Numismatic Association (ANA) enjoy discounted insurance rates from an insurance company that specializes in insuring coin collections. Finally, keep detailed records by cataloging your collection and keep all receipts of your coin purchases. Make sure these records are stored off-site at a secure location. Another way to protect your documents is to scan and save them on a different computer located outside your home. For example, you can e-mail the scanned files to a fellow collector or trusted relative for safekeeping on their computer. You can also take additional steps to protect, preserve and store your coin collection so it can be enjoyed by generations too come.